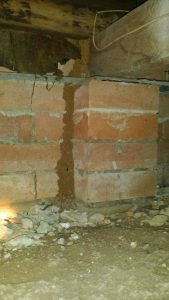 Termite inspections / Building and Pest Inspections and Issues found in High set homes. When we get the call to inspect high set homes. I know some of the time this will be a tough inspection especially if it has been built in underneath. In fact when the owner decides to D I Y renovate underneath the home, some of them don't give much thought to termite protection and legal heights underneath. The height issue can have a major impact on the house valuation. In fact the valuers won't give these areas full value compared to rooms that are at the correct height. Also building underneath without Termite protection will cause a lot of high risk areas for termites to gain access and we pick this up during the termite inspection part of the process. Wall linings built around the piers and over concrete joints which can allow termites to get in undetected. Being built on piers with ant caps is the termite protection for these homes so once the wall linings go in it actually breaches past the ant caps which allow the termites to get in undetected. Additionally the termite protection is no longer protecting the home. Firstly Concrete joints must be sealed to prevent termite coming up between the joints before any walls and linings go up this ensures termites won't get in. Before you start to make your downstairs areas into extra rooms you must put a termite management system in place to get your certification. Secondly concrete piers must have termite protection and you can use the same method as the concrete joints. This house has the sub floor area built in and the ceiling height was no more than 2 meters. There is a kitchen and bathroom and two bedrooms underneath. The owner was shocked these areas can only be classed as store rooms. The minimum height for bathrooms and kitchens is 2.1 meters. And bedrooms must be 2.4 meters and the same is for any living areas. 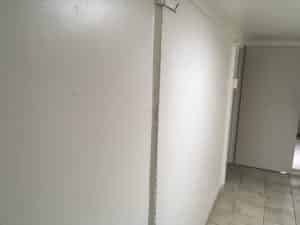 All this was conveyed to the prospective buyer during the building and pest inspection. The actual building code on heights : For Building Class 1 - 2 & 3 a habitable room MUST have a minimum height of 2400mm. The Exception is a Kitchen. laundry, hallway or corridor. Where the height can be a minimum height of 2100mm. Additionally the heights are very strict so you cannot get away with even 1mm. So before you start building underneath make sure you have the correct heights . This is one of the most common issues we find the timber battens enclosing the subfloor in contact with the ground and house . This can allow termites easy access into the house and the building code states there must be a minimum clearance of 75mm from the ground. Make sure your subfloors are well ventilated and any leaks are to be fixed as these conditions will attract termites to this area. 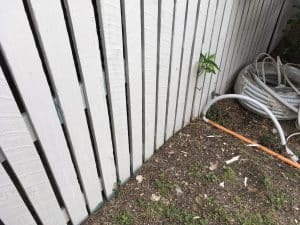 We quite often see air conditioner and hot water service overflows draining directly into the subfloor do not do that get them plumbed to the drainage system. The result of moisture in the subfloor. The buyers of this house did not get a pre purchase building and pest inspection done the repair bill was over $120,000.00 as the termites got into the roof as well. We actually had to remove bricks to get into the subfloor as the previous people bricked it up. We actually found two types of termites and they happen to be the two worst ones here in south east queensland. They were Coptotermes. In fact these guys cause the most damage out of any species in Australia. The other one was Schedorhinotermes which happen to be very destructive as well. The termite treatment we opted for was the exterra baiting system. As this treatment eliminates the colony as well as what's in the house. Once we had them feeding on the bait it took about 3 weeks to eliminate them. Coptotermes cause the most damage out of our Australian termite species. As they are more widespread than any other termite and they have very large colonies. They can destroy a house in a very short time frame. So it is essential to get a building and pest inspection done and regular termite inspections. Make sure all your termite protection is up to date. Which means your termite barriers and keep those conditions that termites like away from your home . Make sure there is no leaking taps or air conditioner overflows as moisture is the number one thing that attracts the termites. Also reduce the amount of timber that is in contact with the ground around your home. No gardens against the house is a biggie as well. Areas around Australia for Termite risk. So if you are looking for a thorough Termite inspection or a building and pest inspection. Give Vicki Or Lauren a call on 32008596. Building and pest inspections Brisbane , Gold Coast , Logan and ipswich.